Custom mosaics and bike bell artisan, Molly Eardly Stover, of Psykel Chic, hand-painted this fun hippie bike bell in very fun colors in very fun mandala-like patterns. It makes me want to ride a bike again just so I can buy one of her delightful bells. 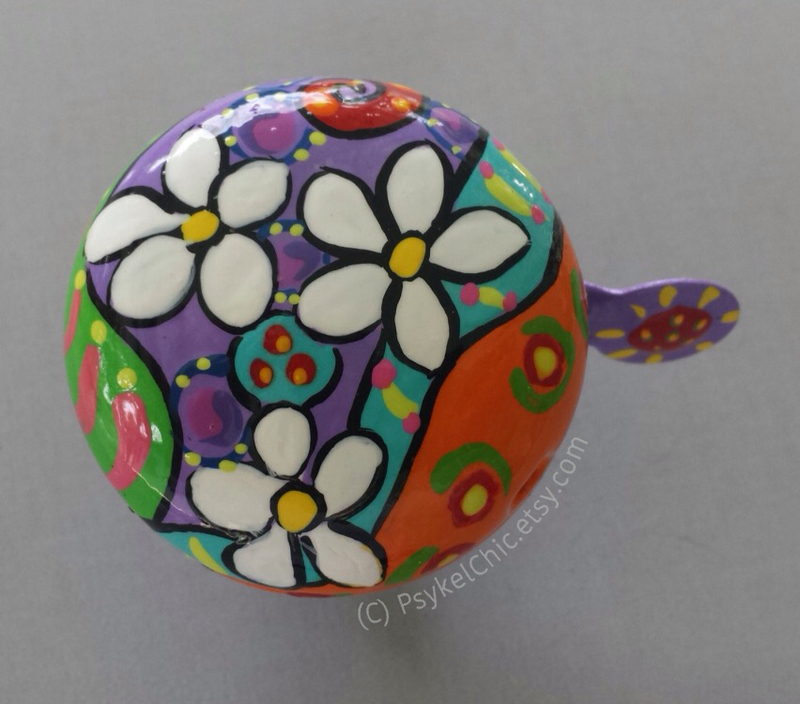 In addition to mosaics, I have added hand painted and custom painted bike bells to my list of obsessions. My bike bells are a unique and fun way to personalize any ride and give riders a courteous bell in the form of a small masterpiece. …. I enjoy my pursuit of happiness in the tranquil, sunny, Nature Coast of Florida. View more of her joyful bells in her etsy shop. While we often bring the negative aspects of our childhood into our adult years, Molly’s bells give us permission to bring the fun parts of our childhood into our grown-up life as well.